Holy crap…we are getting old! Kidding…but not really…ish? 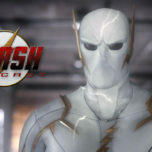 It doesn’t feel like it was five years ago since I released episode 0 of The Flash Podcast Season 0 and boy, it’s such a weird feeling listening to that episode. It’s not that I’m embarrassed by it, because I’m definitely not. But it definitely puts everything into perspective on how far we have gotten since I uploaded the first audio file of this show. Like, hell, we didn’t even have a theme song at that point, which was long before I befriended my personal Maestro in Mike Schmidt who composed our theme song and so many more in the DC TV Podcasts Network. In general, I was just very different back then because I was still new to podcasting. Everything was different back then, for good and worse. But it’s a journey I will never regret taking because I wouldn’t be where I’m today if it hadn’t been for the role The Flash Podcast plays in my life now. 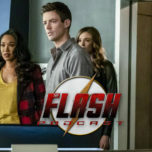 Now, we are just days away from The Flash’s 100th episode, which for us, will be our 195th episode recording, being 5 episodes away from our 200th episode next year. That is literally, the craziest sentence I have written in this little retro piece. Plus let’s not forget, in exactly ONE WEEK from today, we’re getting the Elseworlds crossover with The Flash, Arrow, and Supergirl. And trust me, I’m just as excited for the TV crossover as I’m for the podcast crossover, particularly because of the awesome promo that our own godlike artist David Jones and Mike did this year, which you can check out here if you haven’t already. Seriously, I don’t know what I would do without David and Mike as the creative artists of this network. The podcast is still going strong today in both social media presence as well as listenership which I will always be grateful for. 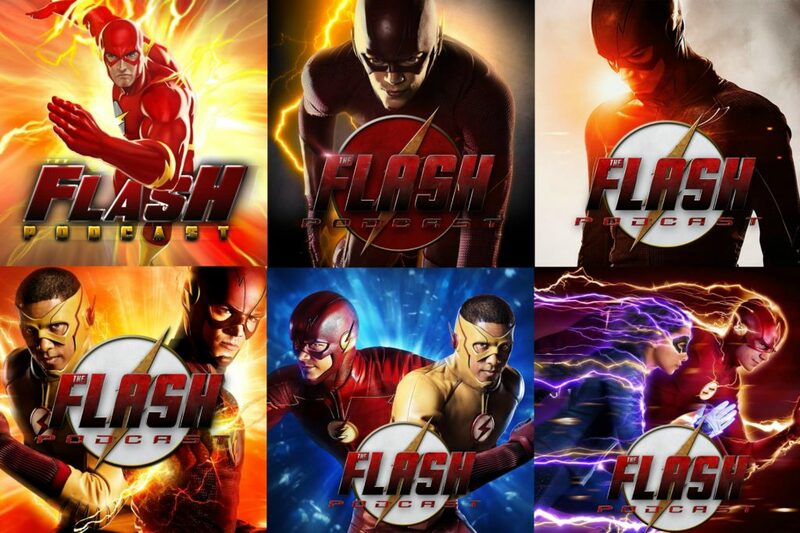 Without our readers and listeners, The Flash Podcast wouldn’t be around the way it is today. It has been an interesting year for the podcast, both in ups and downs. After four seasons of working with her, we sadly lost Amy Marie, but she will always be part of this show’s heart because without her as well as my other previous co-host Lauren, I wouldn’t have been able to make The Flash Podcast what it is today. We also sadly bid farewell to Brittany after two seasons, but will always appreciate the memories we have of her because it was a lot of fun working with her. 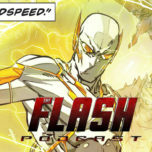 However, change can be good sometimes as we got two new voices this summer, well one new and one half-new because Tatiana is no stranger to Flash Podcast listeners. But it was a true honor to finally get to work with her on a full-time basis as well as Swara, the middle-eastern brother I never got to have. And I would be foolish to forget our wonderful Canadian Andrew B. (I’m still guessing it stands for Barry, because #TheFlash) who together with Tatiana and Swara, give me some of the greatest podcasting hours of my life every week. While we haven’t had her on air (YET), we have gotten our own little Iris West writing like crazy for the website in Fowsia, who is one reporter the world should get ready for because the girl has the fire in her fingers. This is what I love with these sorts of shows, the connections, and friendships you make through them. But it is also the connections and bonds you have gotten to make with people behind these shows you love. 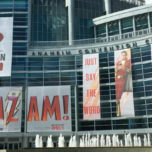 Whether it’s being recognized by listeners out at comic book conventions, thanking you for the work you and your network does every week, nerding out with some of the Arrowverse writers after con hours, or getting a big hug from Grant Gustin as he spots you by the escalators, those memories are with you forever and I couldn’t be more grateful for having all of that. But it’s not just The Flash Podcast that I want to share some love for today; it’s also my entire DC TV Podcasts family because y’all, we have gotten bigger! As of today, we have a total of ten shows up and going strong, with the addition of several new members who joined our family this year. Michael and Amanda from Quiver: The Green Arrow Podcast, who is still the Green Arrow and Black Canary of this network to my Barry Allen. The two Supergirls of Supergirl Radio, Rebecca, and Morgan, who is still competing with us in who does the best DC TV Podcasting plugging to arguing that Kara is somehow faster than Barry – Sure, Jane, Sure. Kat, the Speedy or Jesse Quick – whatever she prefers – of Legends of Tomorrow Podcast. The zombie loving crew Chris, Blaise, and Shawn at iZombie Radio, the lit trio that is Britney, Clement and newcomer Nate at Black Lightning Podcast, the two new Kryptonians Michele and Lacy at Krypton Podcast, my other co-hosts of the Titans Podcast with Cori, Amy, and Laura who joined our Titans Tower earlier this year. In addition to all of that, we got ourself a new trio of awesome hosts this fall with the Batwomen of the Batwoman Podcast, with Rachel (O.G. Rachel a.k.a Attorney/Lawyer O.G. Rachel), Jessica and Mimi who are a perfect fit for that podcast. Not to be that person, but seriously this is the Justice League of Podcasting on the internet, and that’s just a fact. 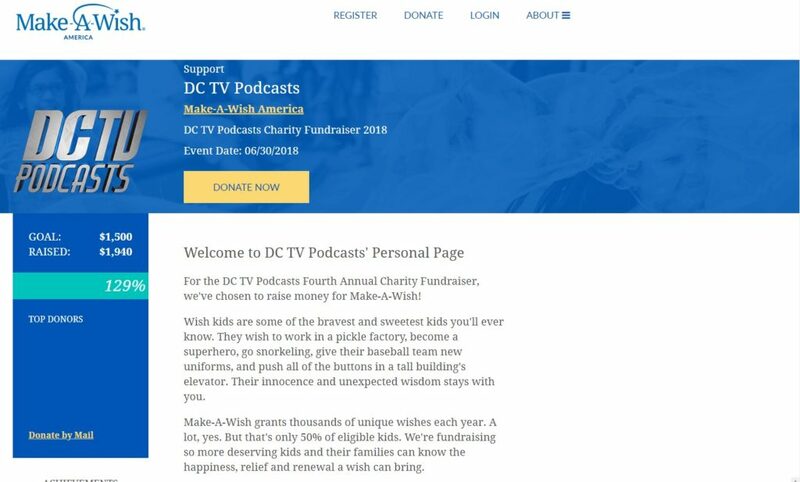 It has truly been an amazing year for this network, as we did our fourth annual podcast charity which was our biggest one yet, with over $1900 dollars raised, as our initial goal was $1500. I can’t describe the feeling I have of getting to work with these talented individuals who I not only call friends but also family. To make a twist of an inspiration from Barry and Iris: We Are DC TV. And trust me, we have new shows on the way, sooner than you may think so…stay tuned I guess? OK, I’m getting long-winded so I will try to wrap this up. Most importantly: the biggest of thank yous to every single listener of ours. Whether you started listening to the podcast since Season 0, this year, this month, or even this week, I think I can speak for the whole podcast crew that we truly appreciate every single one of you. Every week, we get so many tweets, Facebook messages, and emails with your love for our Fastest Man Alive. Together, we get to nerd out about this show with you guys and share our passion for Barry Allen and his amazing family. Not to get too personal, but this podcast as well as this show, allow me to sometime escape my life when it’s not at its best because trust me, I don’t always have the greatest of days. But thanks to great listeners, a phenomenal podcasting network and a superb superhero TV universe, I get to smile, cheer and enjoy myself with what I love the most: Heroes. May the Speed Force Be With You.